170 Sq. 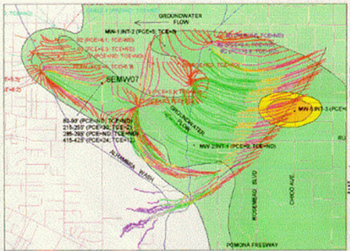 Mile Groundwater Reservoir which is primary source of water for 1 million people. 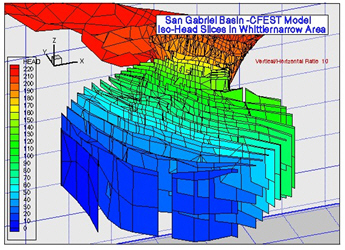 CFEST technologies provided efficient means for 3D representation of depth, external boundary, rivers, lakes, faults. Currently commonly used finite difference codes have several limitations for complex natural systems. are estimated using refined grid and time dependent head variations. slices provide detailed understanding contaminant variations in 3d. 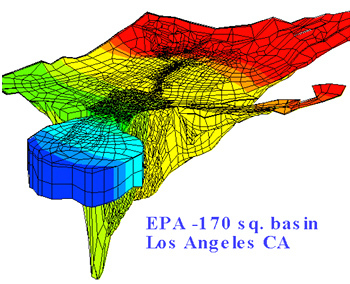 remediation, regulatory compliance, and other routine environmental/groundwater needs.